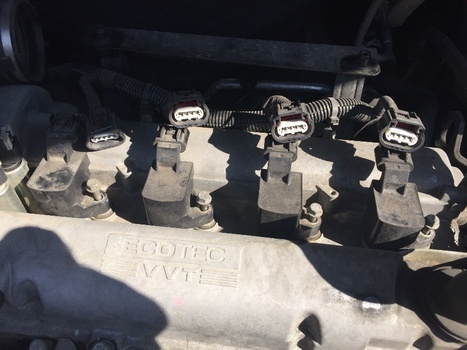 The Chevy HHR uses a modern electrical distributorless ignition system, meaning that it does not utilize a distributor and spark plug wires, but instead a coil pack to deliver controlled electrical power to fire the spark plugs. 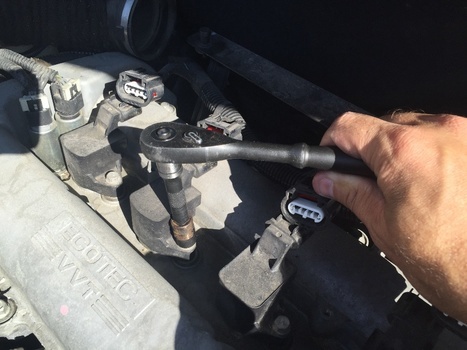 This not only cuts down on parts needed, but makes for a much more efficient ignition system. 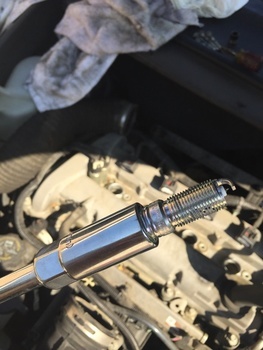 Chevrolet recommends changing your HHR's spark plugs every 100,000 miles. No harm will be done if you choose to do yours sooner. 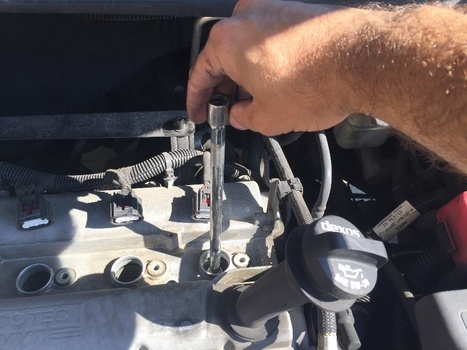 This article covers how to change your spark plugs in your Chevy HHR. The engine cover and air box is built into one piece. 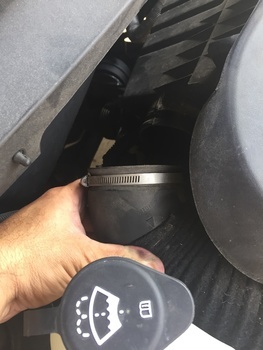 To remove this piece, first start by unplugging the MAF sensor and loosening the the hose clamp screw on the front intake tube. You dont have to take the hose off just yet, it will come off once you begin to pull out the cover. Next, on the backside of the cover on the passenger side is another hose. 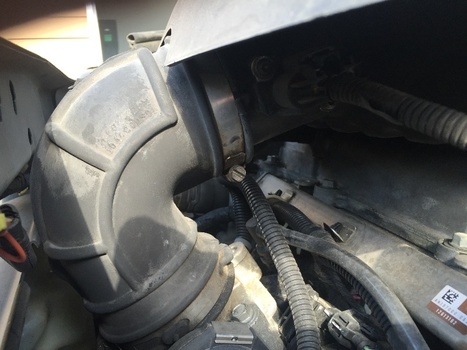 Loosen the screw and remove this hose. Now grab the cover nearest the firewall and pull it towards the front. The cover will pop off of its rear mounts. 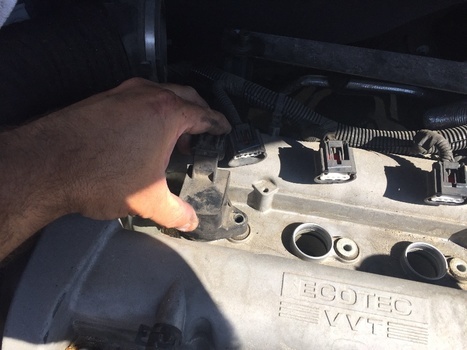 You should now be able to lift up and easily remove the front hose (remember, you didn't take it off) and then remove it entirely from the vehicle. Set aside. With the engine cover now off, you can now see the 4 ignition coils. Under those coils are your spark plugs. Before you begin to remove the plugs, clean off the surrounding area of any dirt and debris by using an air hose or any means necessary. 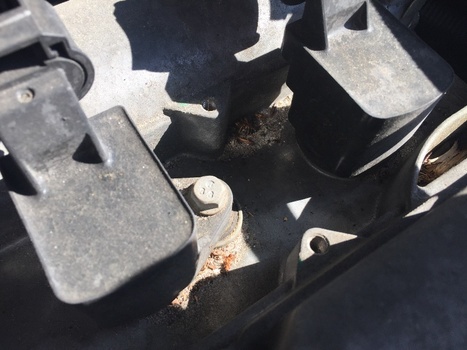 By cleaning the area, you will not risk having foreign objects (dirt, rocks, bugs, etc) accidentally falling into the spark plug hole and causing possible damage to your engine. 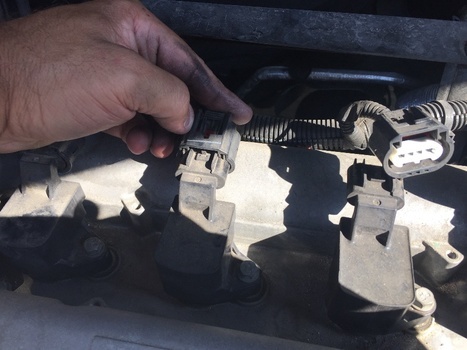 Remove the pigtail harness that plugs into each ignition coil pack by pushing down on the top tab and pulling backwards towards the firewall. 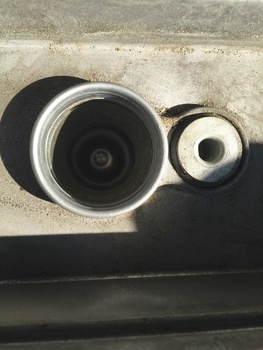 Using a 10mm socket (a small extension will help), remove the single bolt that is located to the right side of each coil pack. 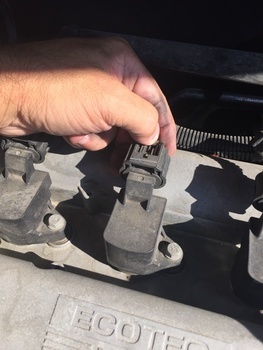 With the bolts removed, carefully pull straight up on the coil pack to remove it. Set off to the side. 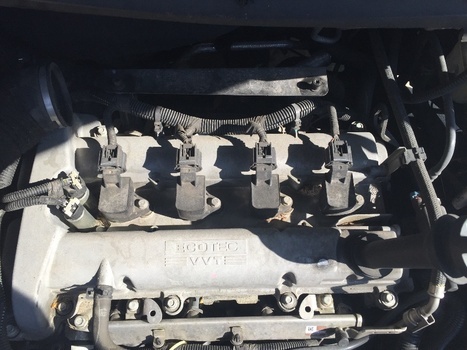 You should now be able to see the top of the spark plugs with the coil packs removed. 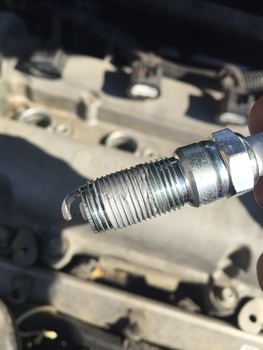 Using a 5/8" spark plug socket and extension, loosen and remove each spark plug. 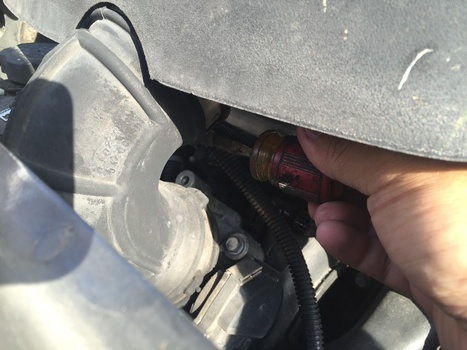 With the old plugs out, prep the new plugs with a bit of anti-seize compound on the threads. 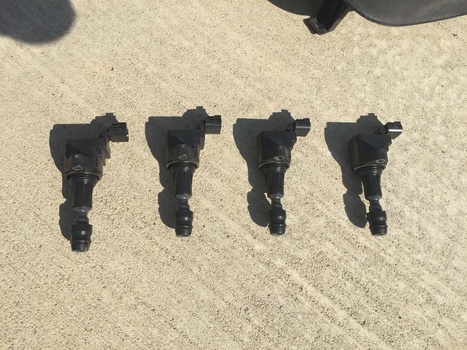 The AC Delco plugs are pre-gapped and ready to use. DO NOT try to gap these plugs! Insert the new plug back into the socket. Carefully put the plug back into place. I prefer to hand tighten at first as to ensure I am not cross-threading the plug. Once the plug is started, I finished with the socket wrench and tightened until snug. 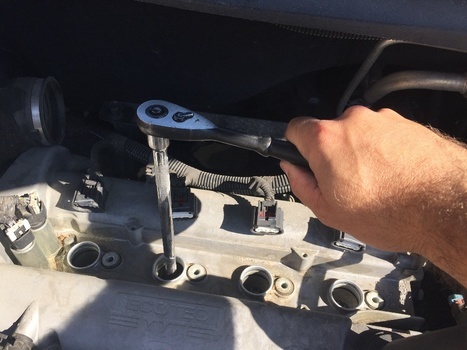 You DO NOT need to tighten the plugs with excessive torque! 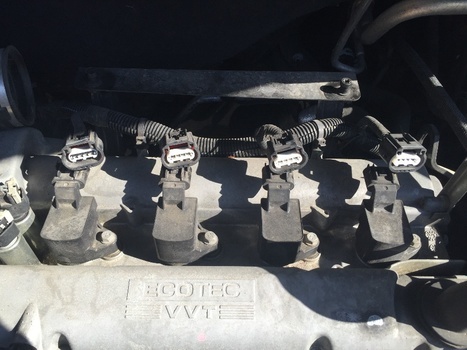 With the new plugs in place and tightened, replace your coil packs back into it's respective home. You should feel the coil pack pop down onto the plug. 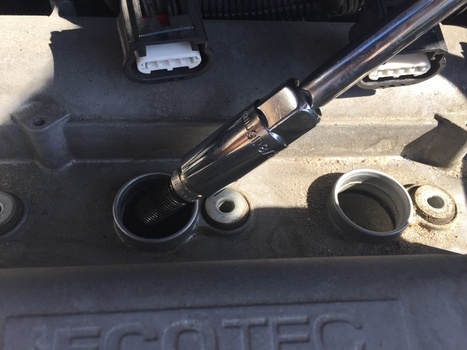 Insert the coil pack bolts back into place and tighten back down using your 10mm socket. Plug each harness back into its respective coil pack. 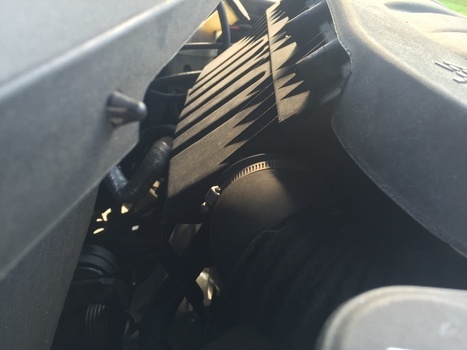 If you need to replace the air filter on your HHR, now would be a great time to do it. Read how to change your air filter here. 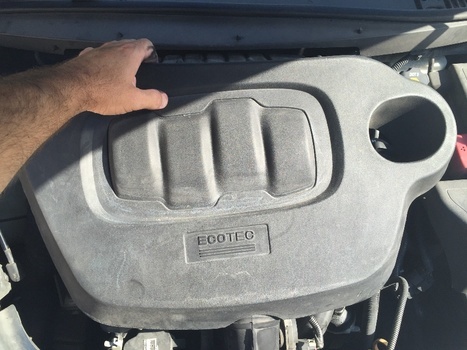 Replace the engine cover in reverse of how it was removed. Attach the front back onto the front of the air box (do not tighten yet) and then push down on the back side to pop it back into its mounts. Attach the hose on the rear passenger side and tighten down the hose clamp. 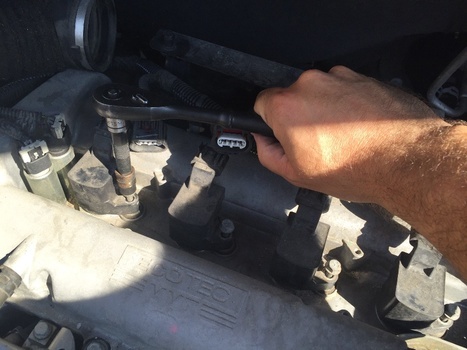 Tighten down the hose clamp on the forward hose along with plugging the MAF sensor back in.